On June 21, 2018, Bill C-46 received Royal Assent. Among other things, it increases the maximum penalties for impaired driving offenses under the Canadian Criminal Code, (R.S.C., 1985, c. C-46) (“CCC”). Bill C-46 comes into effect 180 days after Royal Assent, which means that these maximum penalties will apply as of December 18, 2018. With recreational marijuana expected to become legal in October 2018, Bill C-46 is an attempt by the Canadian Government to demonstrate that it will not tolerate impaired driving of any kind. Unfortunately, Bill C-46 will have a significant impact on non-citizens, which is something that the Canadian Government likely did not consider. Have committed an act outside Canada that is an offence in the place where it was committed and that, if committed in Canada, would constitute an offence under an Act of Parliament punishable by a maximum term of imprisonment of at least 10 years. As a result of Bill C-46, the offence of operating a vehicle while impaired (where no bodily harm or death occurs) appears in the new CCC 320.14(1). According to the new CCC 320.19(1), the Crown may elect to prosecute such a case as a summary conviction or as an indictable offence. If the offence is prosecuted by indictment, the maximum penalty is imprisonment for a term of not more than 10 years. Although most individuals who are charged with impaired driving in Canada (where no bodily harm or death occurs) will never receive a sentence of 10 years of imprisonment, this is irrelevant for the purposes of Canadian immigration law. According to IRPA 36(3)(a), an offence that may be prosecuted either summarily or by way of indictment is deemed to be an indictable offence, even if it has been prosecuted summarily. As a result, an impaired driving offence (where no bodily harm or death occurs) will now be considered serious criminality. This change will have significant consequences for both temporary residents and permanent residents. Prior to Bill C-46, permanent residents would not be subject to removal from Canada because of a single impaired driving conviction (not involving bodily harm or death), since such offences would not be considered serious criminality. However, as of December 18, 2018, even a permanent resident of Canada can be placed into removal proceedings if they commit such an offence. To further complicate the situation, according to IRPA 64(1), permanent residents (or temporary residents) who are found to be inadmissible based on serious criminality will not be permitted to appeal the decision to the Immigration Appeals Division, if their crime was punished by a term of imprisonment of at least six months. In other words, individuals who are sentenced to at least six months of imprisonment for an impaired driving offence will now lose their right to appeal the finding of inadmissibility. 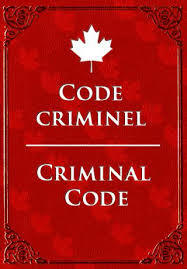 Committed, on entering Canada, an offence under an Act of Parliament prescribed by regulations [i.e. the CCC, IRPA, the Firearms Act, the Customs Act, and the Controlled Drugs and Substances Act]. At the present time, temporary residents are still inadmissible to Canada for a single impaired driving offence (even where no bodily harm or death occurs) but under IRPA 36(2) rather than IRPA 36(1). As a result, it is much easier to obtain a temporary resident permit (“TRP”), to temporarily waive their inadmissibility. It is also much easier to obtain an individual rehabilitation, to permanently waive their inadmissibility. In addition, an individual with a single impaired driving offence, which results in inadmissibility based on IRPA 36(2), can still obtain a deemed rehabilitation (i.e. an automatic permanent waiver) under IRPA 36(3)(c) after a period of ten years had elapsed. Once Bill C-46 becomes effective, even impaired driving offences not involving bodily harm or death will be considered serious criminality under IRPA 36(1). Once this occurs, it will become much more difficult to obtain a TRP or an individual rehabilitation for such an offence. In addition, deemed rehabilitation will no longer be available. Fortunately, Bill C-46 should only affect offences committed on or after December 18, 2018. In Tran v. Canada (Public Safety and Emergency Preparedness),  2 SCR 289, the Supreme Court of Canada concluded that the relevant date for assessing serious criminality under IRPA 36(1)(a) is the date of the commission of the offence and not the date of the admissibility decision. In other words, Bill C-46 should not affect impaired driving offences that were committed prior to December 18, 2018. Permanent residents who committed impaired driving offences (not involving bodily harm or death) prior to that date will not become inadmissible to Canada. Although temporary residents will still be inadmissible under IRPA 36(2) based on criminality, it will be much easier for them to obtain a TRP or individual rehabilitation. They will also continue to qualify for deemed rehabilitation. If someone is convicted of Impaired Driving they should automatically receive the maximum sentence. There is no excuse! Too many people have been killed or seriously injured by Impaired Drivers just look at the Neville-Lake family. Because there is no bodily harm or death involved only means that the driver and general public were lucky that time.